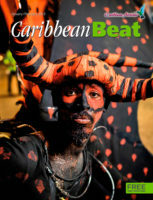 It’s hard to imagine now — in an age of intensive academic research and publishing — that only 35 years ago there was barely a single history of the whole Caribbean in print. Of course, there were histories of various sorts, mainly written by non-Caribbean people, but in almost every case they dealt only with a particular island or exclusively with a monolingual concept of the region, such as the British West Indies. The one conspicuous exception was J.H. Parry’s Short History of the West Indies, published in 1956, which focused largely on the author’s specific interest in Spanish colonialism. Onto this empty stage stepped Eric Williams, prime minister of Trinidad and Tobago from independence in 1962 and chief minister for six years before then. His book From Columbus to Castro: The History of the Caribbean, 1492–1969 was published in London in 1970, and was a groundbreaking achievement in terms of both its scope and its approach. Williams had been an acclaimed scholar before embracing the rough-and-tumble world of Trinidad politics in 1955. He had earned a doctorate at Oxford, taught at Howard University in Washington, DC, and had published four books. Of these, perhaps the most important was Capitalism and Slavery (1943), which argued persuasively that the abolition of slavery was not primarily the result of pressure from philanthropists such as William Wilberforce, but was rather a coldly calculated move by sugar refiners and other big business interests in Europe. Wage labour, to put it simply, made better economic sense than slavery. Williams’ dynamic political career seemed to leave his academic work on the sideline, as his party the People’s National Movement led the way towards independence. His strangely aloof and, some said, introverted character did not prevent him from winning and retaining wide-scale popular support. Always a compelling orator, he was also clearly the most intelligent and intellectual Caribbean leader of his generation. The book was worth the wait. 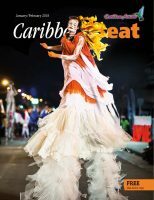 As the title suggests, it is a sweeping, lengthy (580 pages) survey of Caribbean history, from Columbus’s first fateful footfall in 1492 to the impact of the Cuban Revolution in the 1960s. 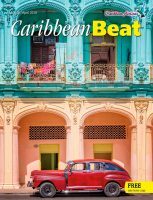 (It is one of history’s nicer ironies that the title sounds as fresh now, three and a half decades later, as it did then — Fidel Castro is still a force to be reckoned with.) The book covers every aspect of the region’s political and economic trajectory: from colonial subjugation to independence, from crude sugar-dominated commodity economics to the advent of industrialisation and tourism, from centrepiece of European colonial rivalry to a problematic position in America’s “back yard”. This vast historical canvas is painted with extraordinary attention to detail, but also with an eye to the great themes that have shaped the Caribbean. Williams’s main idea is that the region’s material wealth (gold, sugar, oil) and strategic significance have from the earliest days of colonial expansion made it both a magnet and a battleground for external powers. Thus, no sooner had the Spanish established their Caribbean empire than the British, French, and Dutch began to compete with them for the spoils of colonial conquest. The huge wealth generated by the slave-based sugar economy not only powered Europe’s Industrial Revolution, but kept hostilities between the European superpowers constantly simmering. Key dates punctuate this story of almost permanent conflict — American independence, the French Revolution, the historic slave revolution in Haiti, the turmoil of the 1930s. Throughout, Williams introduces us to the principal actors, whether European politicians or generals, planters or slaves. 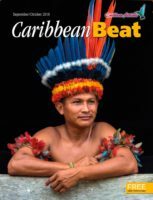 And, most importantly, his narrative moves almost seamlessly from events in London, Paris, or Washington to developments in the Caribbean itself, revealing the “global” nature of the region’s history. As the French Revolution, for instance, takes its bloody course, we read of how the revolutionary Jacobins in Paris argued with the reactionary representatives of the ancien régime, while in Martinique, Guadeloupe, and Saint-Domingue (soon to become Haiti) the slaves waited for news from distant Europe, ready to take control of their own destiny. 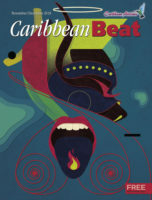 The book’s greatness lies in Williams’s ability to make the connections between external superpower politics, global economic forces, and daily life in the Caribbean. 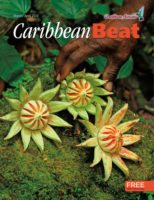 Backed up by prodigious statistical evidence, he traces the rise and fall of sugar, the fierce struggle between the Caribbean plantocracy and the metropolitan importers, and the daily conflict between slave and overseer. What emerges is the individual human dimension within the great sweep of economic and ideological forces. Across the West Indian stage the great characters, political and intellectual, of the Western World strut and fret their hour — Louis XIV and Bonaparte, Chatham and Pitt, Castlereagh and Canning . 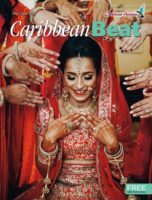 . . the beet sugar industry of Prussia, slave labour from Africa, contract labour from India and China, Christianity, Hinduism, and Islam — all have left their mark on our West Indian society. Of the West Indies more than of most geographical areas it is possible to say that we are one world. Note the “our”. This is not the cold, impersonal history of a distant academic observer, but a passionately engaged account of the wrongs inflicted upon the Caribbean, and its people’s suffering and resilience under the burden of foreign interference. Written with great verve and occasionally sharp wit, From Columbus to Castro is both a major landmark of scholarship and a symbol of the growing self-confidence that came with independence and a sense of national and regional identity. 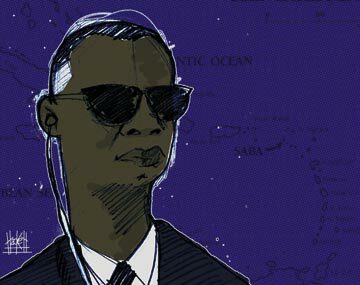 It is a matter of record that Williams’s political career ended in disillusionment as the oil boom years of the 1970s deteriorated into economic collapse, but his contribution to Caribbean scholarship remains unaffected by the vicissitudes of politics. Unlike any English-speaking politician before or since, Eric Williams was an intellectual (of course, a term of abuse in much of the English-speaking world) and an extraordinary communicator. 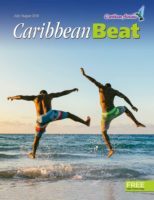 In the six-hundred-odd pages of this book, you will find a story that is enthralling, tragic, and inspiring, told by a man who even as he was writing the history of the Caribbean knew that he was also involved in making it.